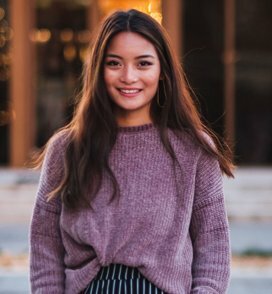 Angela moved to Chattanooga from Maryville, TN to attend college at The University of Tennessee at Chattanooga, where she received her Bachelor’s Degree in Communications in 2018. Angela first found her passion for events after interning at a local marketing agency, where she managed social media platforms and planned an event. The thrill of planning that one event encouraged her to pursue a career with us! Her passion for events and her experience with social media and marketing makes Wildflower Wedding Planning the perfect fit! Her favorite part about the industry is connecting with local creatives and working together to make a vision a reality.